Costello was four years old when his family emigrated from Italy and settled in New York. He became a gang member and, during Prohibition, engaged in bootlegging and gambling in New York, Florida, Louisiana, and elsewhere. He moved up the syndicate ladder during the 1930s and, after World War II, was instrumental in financing the newly developing Las Vegas casino industry. During this period, he moved freely among New York politicians and legitimate businessmen, whom he variously corrupted. 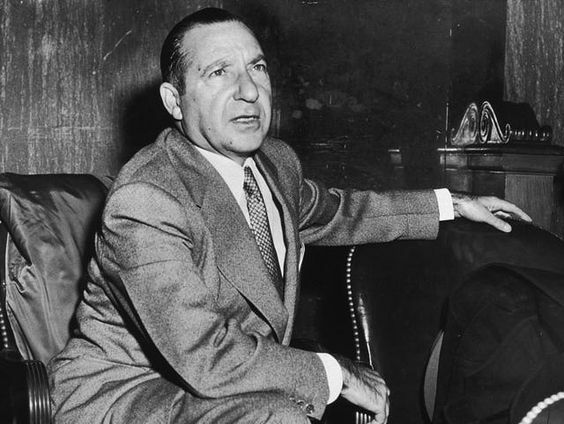 Costello was targeted by Senator Estes Kefauver’s organized crime committee in the early 1950s and was convicted first of contempt of Congress and then of income tax evasion. While out on bail in 1957, a rival crime boss shot him, he recovered, served out his sentence, but never regained his power in organized crime.